Hello readers, today I am back with another new offers on recharge. This offer is from bulb smash app and it giving Rs 10 sign up bonus and Rs 5 per refer and the best part is that you can redeem through paytm also. So hurry up and grab this offer if you wants. Bet coins on every level and earn upto double by winning the level. 1. 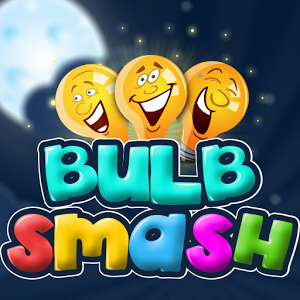 Download bulb smash app from HERE. 2. Open the app and connect it with facebook. 3. After login you will be in dashboard of the app and you will see Rs 10 amount credited and there was a invite option click on that and refer to your friend so that you will get Rs 5 per refer. 1. Minimum redeem is Rs 100.